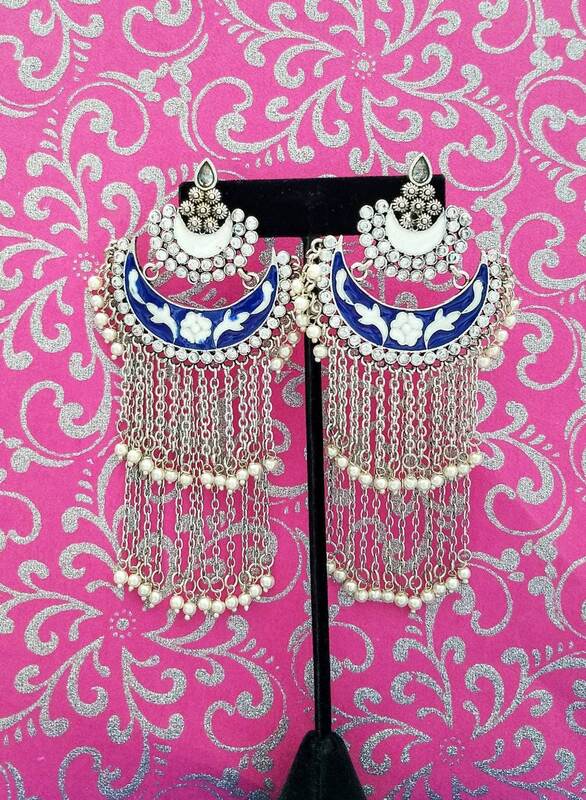 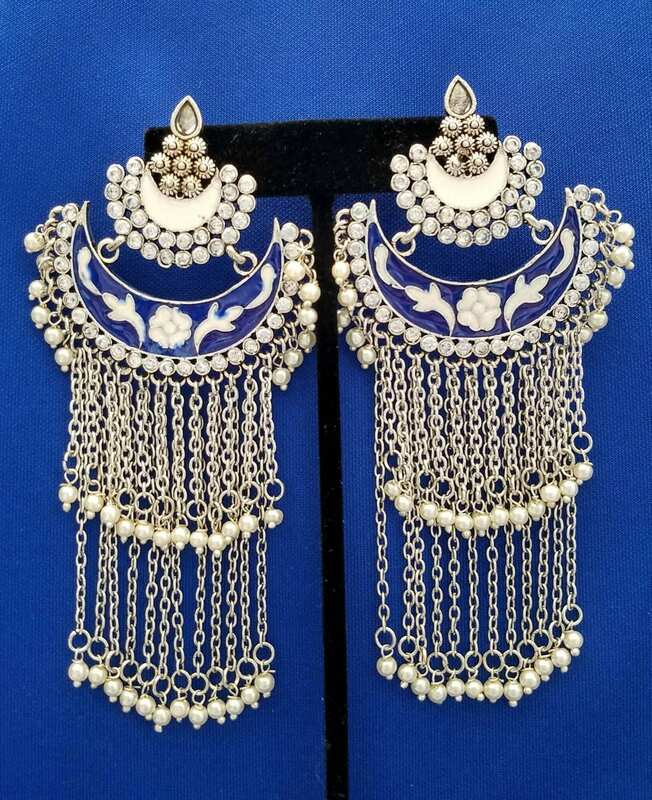 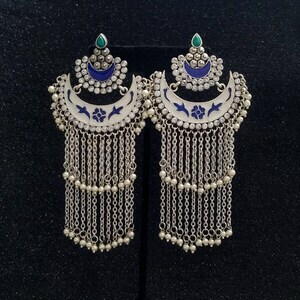 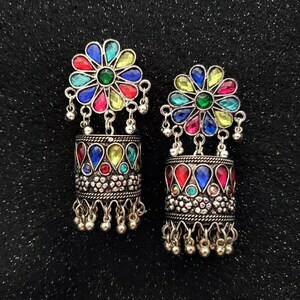 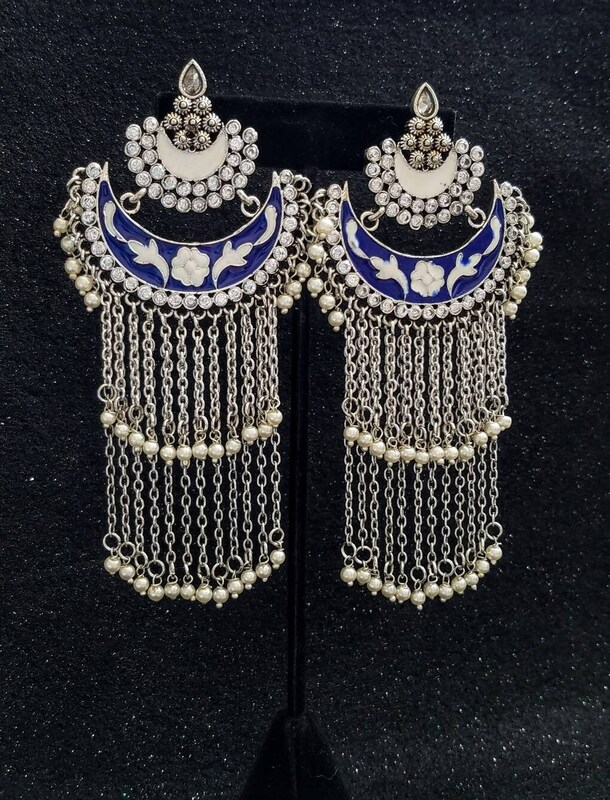 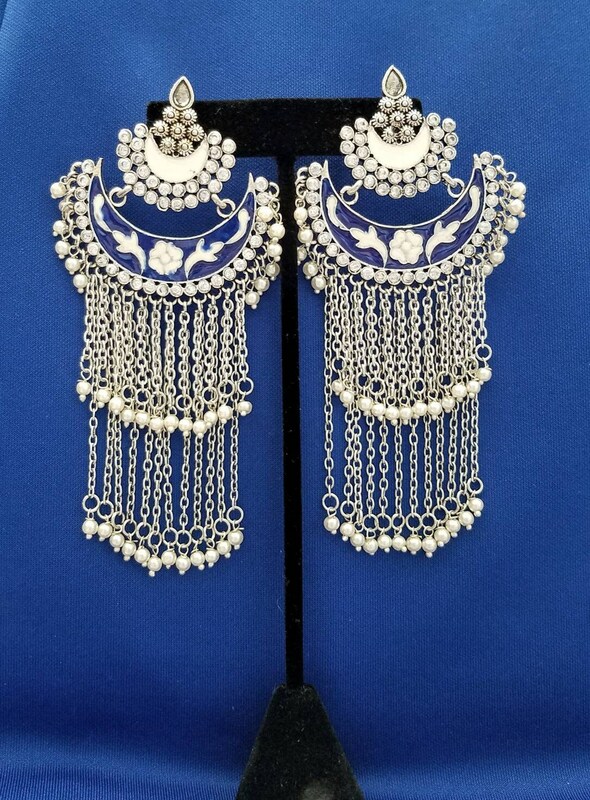 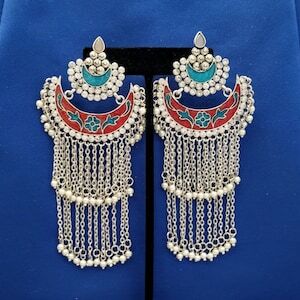 Gorgeous handmade long Indian meenakari dangly earrings, in chandbali design. 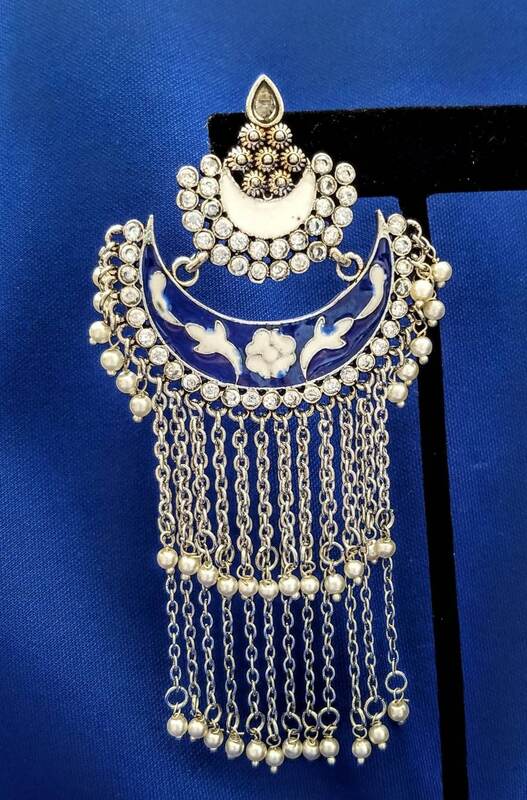 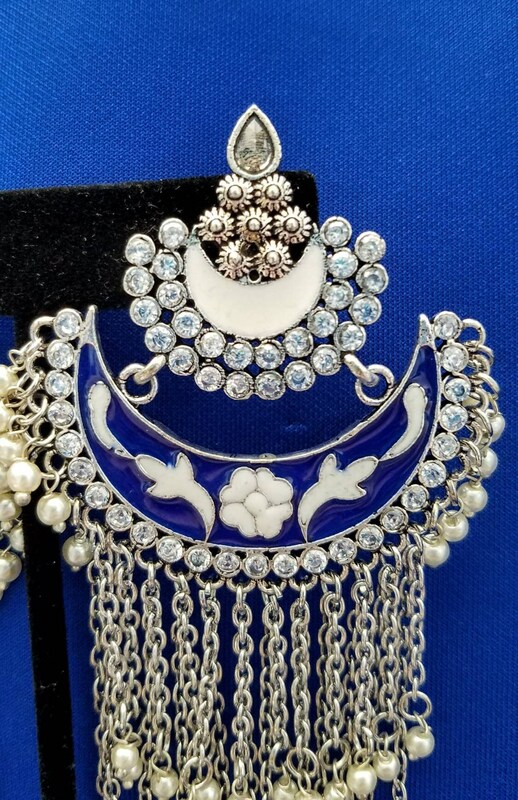 Two tiers of dangling chains with pearl beads, suspended from colorful enamel crescent. 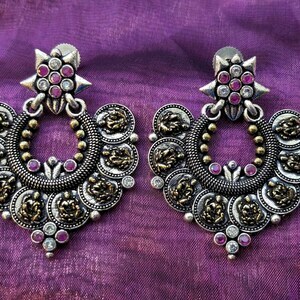 Lightweight and comfortable to wear. 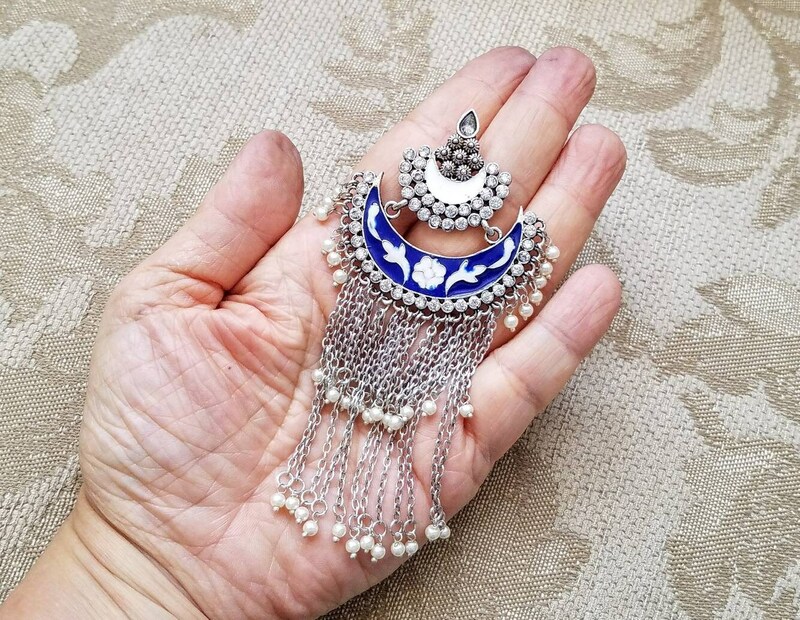 Weight is 8/10 ounce/ 23 grams.